I’m in the middle of grading poetry exam, and thinking about how difficult it is to teach writers about rhythm, especially meter. This group of students is doing pretty good discussing it, but this always reminds me of the challenges they have in actually scanning a poem or hearing stressed and unstressed syllables in a line. I’ve often asked students to bring percussion instruments to help emphasize the beat in a line, though they typically get confused and tap on the unstressed or don’t tap on the stressed syllable. Of course, performance makes a difference, and there is some room for variation in how you say a sentence (do you stress the word ‘a’ or ‘the’ for instance?). But it shouldn’t be so hard, except we aren’t trained to hear it. We do it by instinct, but ask us to analyze stress in a sentence, and all we hear (and feel) is stress! So my thought tonight was to try my typical exercise in reverse. I often have students scan a line of poetry and then tap out the meter as they read it, tapping loudly on the stressed syllables and softly on the unstressed. So what if I started with tapping? If I scan a line or two of a poem first and give them the rhythm. Then have them practice tapping it a few times before adding the words. That way, I’d know it was scanned correctly and that they could handle the rudimentary percussion before having to think about language. We might then go on to scan and tap a few more lines from the same metrical poem, looking for variations to the standard foot. Or try some different patterns (move from iambic to anapest, for instance). Anyway, it’s just a thought, but I figured I should write it down somewhere, so why not here? Here’s a writing exercise I haven’t given to any of my classes (yet), mostly because I’m not sure when they’ll be driving. 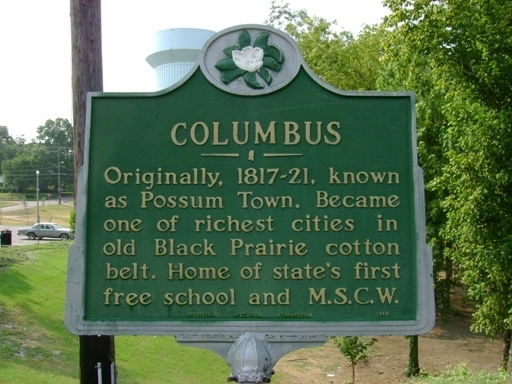 Stop at a historical marker. It may be one you pass on a regular basis without sopping or one that you see on a trip. Read the marker and look around you. Note at least four interesting words from the text of the marker and at least four interesting things in your field of vision. These words do not have to go together, and the more you find, the more you’ll have to draw on. Once you’ve made your lists (either while you’re still at the marker or later) begin a text (poem, story, essay, etc.) by combining words from the marker with the descriptions of things or motions or colors, etc., that you saw. Ideally you will be combining something of the past with something of the present. The point of the exercise is not to write about the subject of the historical marker, though that might happen, but to allow both the present and the history of a place into your writing to provide greater depth. That’s why it’s best to actually be there. If you don’t have your notebook with you, take a picture of the marker. Nonetheless, having been there will give you memories and impressions of the place that a picture someone else has taken of a marker won’t provide. You know the sounds and the temperature of that place on the day you saw it. You know where you had just been and where you were going, who you were with or who you were going to see, and a million other things about the experience that give it an emotional depth for you, which you can mine in your writing. This is an exercise that I have done, though a little less formally than I’ve described it here. A couple summers ago, my family and I were traveling around the midwest and saw markers indicating we were on a continental divide. This led to a poem or two, as I contemplated the idea of a watershed, that just a slight rise (not the mountain chain we usually think of) can mark the difference between water flowing north or south, east or west (or northeast/southwest, etc.). Subtle variations in our landscape have a dramatic effect, when all the results pool into Lake Michigan or Superior, for instance. Taoists call this principle of water seeking the downward path of least resistance wu wei and recognize its power. Thinking of the world in those terms, human interactions on the surface of the planet seem insignificant, as my son’s science homework reminded me today. He was studying the earth’s mantle and core, and learned that the radius of the earth is approximately 4,000 miles (give or take a few for mountains or deep ocean trenches, wrinkles in the peel of the apple, as the homework assignment described it). What are we in this perspective? Spores of mold migrating around on the skin of a great, big, round potato? (Barb Johnson’s discussion of pomme de terre, the French term for potato (as opposed to the Cajun patate reminded me that the potato is a more appropriate ‘earth apple’ — the Dutch have the same dichotomy aardappel in standard Dutch patat in dialect). Go for a walk of at least 10 minutes. Don’t avoid the weather (though it’s all right to use an umbrella, raincoat, parka, sunscreen, etc.) On your walk consider an idea for writing. The idea does not have to come from the walk, though it may. You might start out with an idea in mind or look for one during your walk. Let the experience of the walk influence your thinking. Allow the weather to influence the mood or a random event (traffic, animal sighting, encounter with a person, etc.) to enter the scene you are working on. Either bring a small notebook with you and write down your ideas at one or more stopping points in the walk or immediately upon returning from the walk, sit down and work at least 15 minutes on a draft. This kind of exercise goes back at least as far as Wordsworth’s idea of emotion recollected in tranquility. Goethe was also well known for taking long walks when writing, and Wallace Stevens said he composed most of his poems while walking to and from the office in Hartford Connecticut. Many poets have credited the rhythm of walking with the cadence in their poems, and it is often a good idea to introduce reality through random elements in a creative work.